The goal of 3D Line Studio is to cater to our customer needs and allow them to visualize how their dream project will look before construction ever starts. We are a team with expertise in architectural design, 3D modeling and renderings that will make your vision and projects come to life. Specializing in both commercial and residential, we are the trustworthy partnership you need to manifest your ideas into reality. Modern Apartments building style project with 69 units. With a fantastic view to Downtown Dallas, TX. 125,000 SF. Beautiful Modern style home located in a new and exclusive renovation zone in Dallas, Texas. 4,600 sf two stories makes this home a future home owners dream and a designers paradise. 5,000 sf on two stories. Luxury Craftsman style house located in the historical area close of downtown Dallas, TX. 4,000 sf on two stories. Retail/Office buildings with a strategic location in front of Houston Lake,TX. 30,000 sf retail building & 24,000 sf office building. Beautiful Modern style home located in one of the most prestigious residential areas in Dallas, Texas. This home stands 5,200 sf in area and two stories high for the feel of a true mediterranean estate. Beautiful Modern style house located in an exclusive residential zone in Huntington Beach, CA. 6,900 sf two stories. Healthcare pilot project for multiple citied in the state of Texas. 10,000 SF. Modern Townhouses style project with 6 units. With a fantastic view to Downtown Dallas, TX. 12,000 SF. 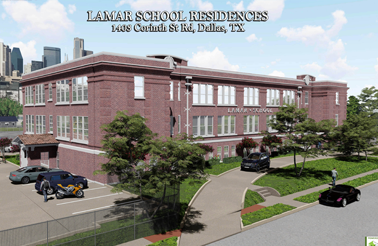 Industrial Loft style residences located in the heart of downtown Dallas, Texas. 28,850 sf and three stories high. Beautiful Mediterranean style house located in an exclusive residential zone in Dallas, Texas. 5,500 sf two stories.